If you have a summer birthday on the way, you may be looking for a well-tested chocolate cake recipe– maybe even one that works especially well for cupcakes. Check out the topic Absolutely scrumptious chocolate cake recipes. 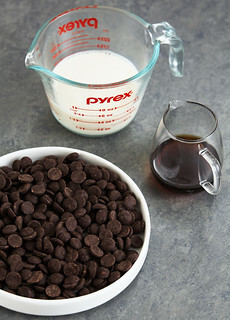 We’ve also got a recommendation for “my favorite chocolate sheet cake recipe. It’s super easy, and everyone I’ve served it to has raved about it.” It’s deceptively rich, and will work as cupcakes, especially if you leave out the nuts in the frosting. For an easy and delicious option, try this Black Magic Cake recipe (tip: if you’re making cupcakes, make an extra half batch of frosting). 1. 1 Heat oven to 350°F. Grease and flour two 9-inch round baking pans or one 13x9x2-inch baking pan. 2. 2 Stir together sugar, flour, cocoa, baking soda, baking powder and salt in large bowl. Add eggs, buttermilk, coffee, oil and vanilla; beat on medium speed of mixer 2 minutes (Batter will be thin). Pour batter evenly into prepared pans. 3. 3 Bake 30 to 35 minutes for round pans, 35 to 40 minutes for rectangular pan or until wooden pick inserted in center comes out clean. Cool 10 minutes; remove from pans to wire racks. Cool completely. Frost as desired. Yields 10 to 12 servings. Cream the cream cheese, butter and salt in a stand mixer (hand mixer works fine too) until light and fluffy. Add vanilla. Food coloring can be added if desired, but try keeping mixing to a minimum, as the frosting is not very stiff. If frosting is too soft to ice easily, refrigerate for a short time to stiffen it up.